It's a new year! One of the things that I'm sorry I haven't been able to keep up with on this blog is my Booktalk Tuesdays--I just don't have as much time to read as I used to! Actually, I take that back. I don't have as much time to read by myself as I used to. I do a lot of reading now, but it's all with Rain Dragon and mainly board books. 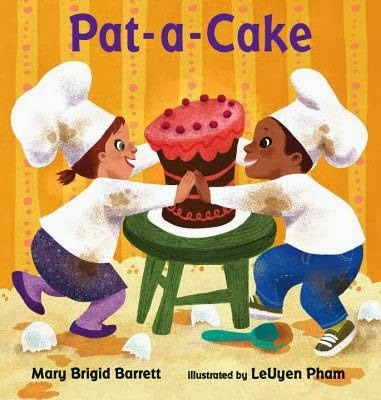 But some of these board books I love! Some she loves! And sometimes, every once and a while, we both love! So I've decided to try to start What We're Reading Wednesdays, where I'll feature the book(or books) that we're reading non-stop. 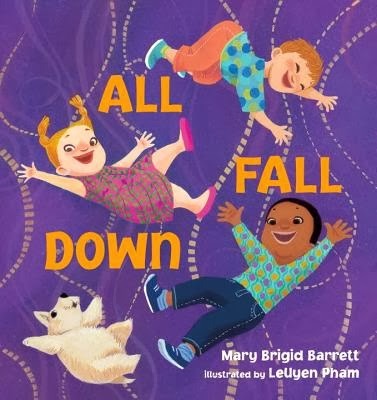 Today, I'm featuring two board books written by a former teacher of mine, Mary Brigid Barrett. She sent them to me as a thank you for participating in the Literary Lights event at the National Book Festival, but I should be thanking her. 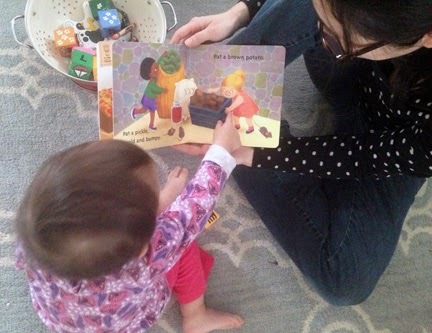 These books are truly superb for babies! They are some of the few books that Rain Dragon and I both adore. I love the art, especially the multicultural cast of kids and she loves acting out the words. and she made her blocks "all fall down!"